← SkeptVet Visits The Pet Doctor Podcast- Are we seeing more cancer in pets? A reader recently sent me a link to this little advertisement. This is an illustration of a popular bit of alternative nonsense, the idea that raw milk has magical health-giving properties. The idea owes a lot to the Appeal to Nature Fallacy, the idea that something “natural” is inherently. Safer and healthier than something “artificial.” Of course, those words have little real meaning since the distinction is arbitrary and unreliable. And in any case, the effects of such “natural” substances as Salmonella, Ebola, Uranium, asbestos, and many others make it pretty obvious that natural does not mean safe or health. Like so many proponents of irrational nutritional ideas, raw milk promoters exaggerate, ignore, and misuse science to create the illusion that there is real evidence behind their claims. They also make free use of anecdotes which, as I have discussed many times, prove absolutely nothing. The reality is that there is no reliable evidence that raw milk, from goats or any other species, has health benefits that can’t be obtained much more safely from pasteurized milk (that is, milk that has been heated to kill bacteria, parasites, and other dangerous microorganisms). If you feed your dog or cat raw milk, you are taking a serious risk of illness for your pet and yourself without any reasonable evidence to suggest a benefit that would make that risk worth taking. Just as raw diets in general have clearly established dangers and no proven benefits, so raw milk is a. poor bet with serious risks. That is why raw milk products are generally illegalfor human consumption under federal and state law. Here are some useful facts and resources to give you the real truth about the dangers of raw milk. 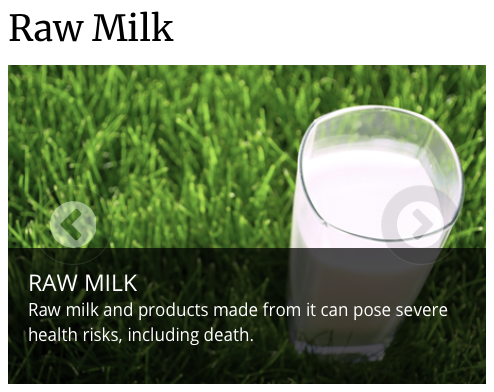 The CDC page on raw milk provides consumers with fact-based advice on the dangers and purported benefits of raw milk. This organization collects information about raw milk and stories of families harmed by misguided belief in claims about raw milk. Many infants are exclusively fed unmodified goat’s milk as a result of cultural beliefs as well as exposure to false online information. Anecdotal reports have described a host of morbidities associated with that practice, including severe electrolyte abnormalities, metabolic acidosis, megaloblastic anemia, allergic reactions including life-threatening anaphylactic shock, hemolytic uremic syndrome, and infections. We describe here an infant who was fed raw goat’s milk and sustained intracranial infarctions in the setting of severe azotemia and hypernatremia, and we provide a comprehensive review of the consequences associated with this dangerous practice. An increasing number of people are consuming raw unpasteurized milk. Enhanced nutritional qualities, taste, and health benefits have all been advocated as reasons for increased interest in raw milk consumption. However, science-based data to substantiate these claims are limited. People continue to consume raw milk even though numerous epidemiological studies have shown clearly that rawmilk can be contaminated by a variety of pathogens, some of which are associated with human illness and disease. Several documented milkborne disease outbreaks occurred from 2000-2008 and were traced back to consumption of raw unpasteurized milk. Numerous people were found to have infections, some were hospitalized, and a few died. In the majority of these outbreaks, the organism associated with the milkborne outbreak was isolated from the implicated product(s) or from subsequent products made at the suspected dairy or source. In contrast, fewer milkborne disease outbreaks were associated with consumption of pasteurized milk during this same time period. Twenty nine states allow the sale of raw milk by some means. 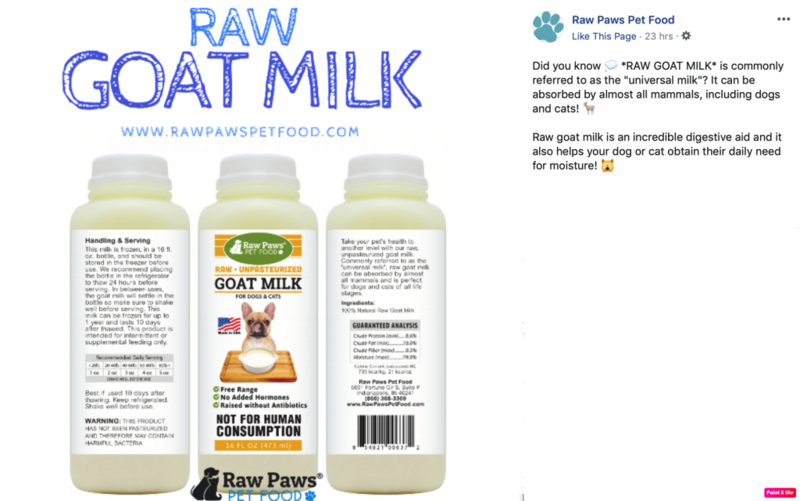 Direct purchase, cow-share or leasing programs, and the sale of raw milk as pet food have been used as means for consumers to obtain raw milk. Where raw milk is offered for sale, strategies to reduce risks associated with raw milk and products made from raw milk are needed. Developing uniform regulations including microbial standards for raw milk to be sold for human consumption, labeling of raw milk, improving sanitation during milking, and enhancing and targeting educational efforts are potential approaches to this issue. Development of pre- and postharvest control measures to effectively reduce contamination is critical to the control of pathogens in raw milk. One sure way to prevent raw milk-associated foodborne illness is for consumers to refrain from drinking raw milk and from consuming dairy products manufactured using raw milk. Sales of raw or unpasteurized milk and milk products are still legal in at least 30 states in the United States. Raw milk and milk products from cows, goats, and sheep continue to be a source of bacterial infections attributable to a number of virulent pathogens, including Listeria monocytogenes, Campylobacter jejuni, Salmonella species, Brucella species, and Escherichia coli O157. These infections can occur in both healthy and immunocompromised individuals, including older adults, infants, young children, and pregnant women and their unborn fetuses, in whom life-threatening infections and fetal miscarriage can occur. Efforts to limit the sale of raw milk products have met with opposition from those who are proponents of the purported health benefits of consuming raw milk products, which contain natural or unprocessed factors not inactivated by pasteurization. However, the benefits of these natural factors have not been clearly demonstrated in evidence-based studies and, therefore, do not outweigh the risks of raw milk consumption. Substantial data suggest that pasteurized milk confers equivalent health benefits compared with raw milk, without the additional risk of bacterial infections. The purpose of this policy statement was to review the risks of raw milk consumption in the United States and to provide evidence of the risks of infectious complications associated with consumption of unpasteurized milk and milk products, especially among pregnant women, infants, and children. Although milk and dairy products are important components of a healthy diet, if consumed unpasteurized, they also can present a health hazard due to possible contamination with pathogenic bacteria. These bacteria can originate even from clinically healthy animals from which milk is derived or from environmental contamination occurring during collection and storage of milk. 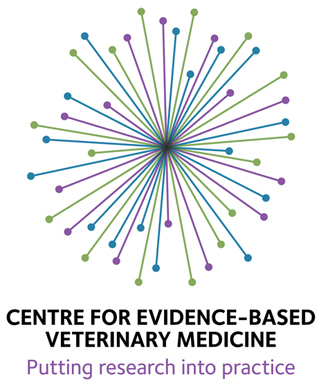 The decreased frequency of bovine carriage of certain zoonotic pathogens and improved milking hygiene have contributed considerably to decreased contamination of milk but have not, and cannot, fully eliminate the risk of milkborne disease. Pasteurization is the most effective method of enhancing the microbiological safety of milk. The consumption of milk that is not pasteurized increases the risk of contracting disease from a foodstuff that is otherwise very nutritious and healthy. Despite concerns to the contrary, pasteurization does not change the nutritional value of milk. 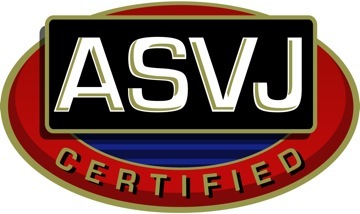 Understanding the science behind this controversial and highly debated topic will provide public health care workers the information needed to discern fact from fiction and will provide a tool to enhance communication with clients in an effort to reduce the incidence of infections associated with the consumption of unpasteurized milk and dairy products. Although pasteurization eliminates pathogens and consumption of nonpasteurized dairy products is uncommon, dairy-associated disease outbreaks continue to occur. To determine the association of outbreaks caused by nonpasteurized dairy products with state laws regarding sale of these products, we reviewed dairy-associated outbreaks during 1993-2006. We found 121 outbreaks for which the product’s pasteurization status was known; among these, 73 (60%) involved nonpasteurized products and resulted in 1,571 cases, 202 hospitalizations, and 2 deaths. A total of 55 (75%) outbreaks occurred in 21 states that permitted sale of nonpasteurized products; incidence of nonpasteurized product-associated outbreaks was higher in these states. Nonpasteurized products caused a disproportionate number (?150× greater/unit of product consumed) of outbreaks and outbreak-associated illnesses and also disproportionately affected persons <20 years of age. States that restricted sale of nonpasteurized products had fewer outbreaks and illnesses; stronger restrictions and enforcement should be considered. There continues to be considerable public debate on the possible benefits regarding the growing popularity of the consumption of rawmilk. However, there are significant concerns by regulatory, or public health, organizations like the Food and Drug Administration and the Centers for Disease Control and Prevention because of risk of contracting milkborne illnesses if the raw milk is contaminated with human pathogens. This review describes why pasteurization of milk was introduced more than 100 years ago, how pasteurization helped to reduce the incidence of illnesses associated with raw milk consumption, and the prevalence of pathogens in raw milk. In some studies, up to a third of all raw milk samples contained pathogens, even when sourced from clinically healthy animals or from milk that appeared to be of good quality. This review critically evaluates some of the popularly suggested benefits of raw milk. Claims related to improved nutrition, prevention of lactose intolerance, or provision of “good” bacteria from the consumption of raw milk have no scientific basis and are myths. There are some epidemiological data that indicate that children growing up in a farming environment are associated with a decreased risk of allergy and asthma; a variety of environmental factors may be involved and there is no direct evidence that raw milk consumption is involved in any “protective” effect. 4 Responses to Don’t Give Raw Milk to Your Pets! I had a colleague in the mid 1980s who had the misfortune to have an other wise perfect little girl born with no brain, this was thought to be the result of a listeria infection at just the wrong point in the pregnancy. It was an awful experience for them and I can’t imagine why you’d want to risk that happening. Yes I know it’s an anecdote, but sometimes anecdotes get through when the science doesn’t. No evidence for that claim. Surely asides from hygiene risk explained well here, the lactose in the milk is not going to do the pets any good? I was given to understood that man is rather a freakish animal in its ability to digest lactose beyond infancy. I’d have thought the dogs and cats would have diarrhoea and wind. As a child I used to drink milk on farms that had come straight out of a cow — but it would have been a pet cow milked that morning, and not hundreds of cows in a dairy and the milk hadn’t been through a machine and sent across the country and stood around for days before being used. I think some people who like the appeal to nature fallacy perhaps have a naive idea of farming and the kinds of farms that produce food for the masses, and the necessity of more rigorous hygiene when something is being produced on this scale.